How to access products, account settings and license Agreements. 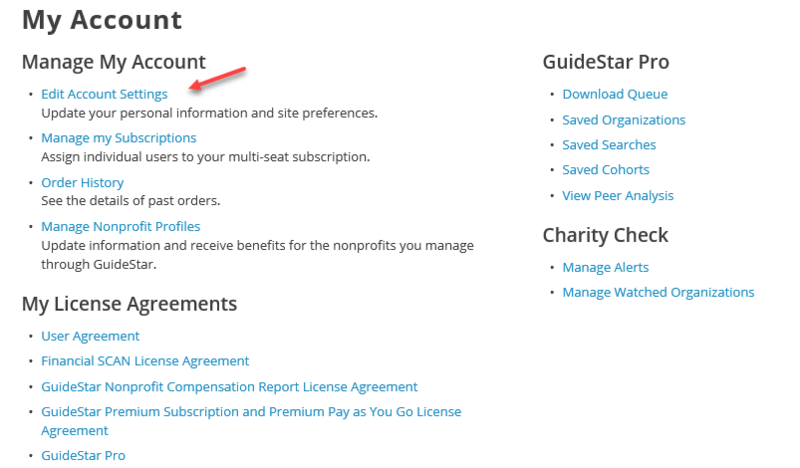 Access your My Account page to update personal information such as change password, update billing information, manage subscriptions, access GuideStar products, update automatic renewal settings, and view License Agreements. Click on "Edit My Account". Once you make changes to your account, make sure to scroll down to the bottom of the page and click on the "Save Changes" button to save your updates.